ClickFunnels vs Kartra: Which is the Best Internet Marketing Tool for Your Online Business? 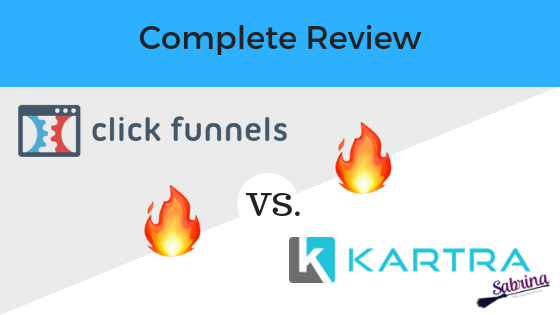 ClickFunnels versus Kartra: What are they? Why should you need one of them? And most importantly, which is one to choose? All successful entrepreneurs started by thinking about marketing as they planned to launch their ideas. Marketing is a business aspect that makes or breaks any business idea! However, with internet marketing tools, small businesses and budding entrepreneurs have earned an opportunity to embrace premium marketing strategies at manageable costs. As a business owner who is looking to capitalize on internet marketing, you will need to invest in the best internet marketing tools. Sales funnels are the currently most talked subjects in the internet marketing industry. I am sure you can’t read two marketing blogs without stumbling upon something about marketing funnels. It has become the marketers newest best friend, hence the fuss about it online! ClickFunnels is a unique SAAS based tool that has been designed to help you build sales funnels within a few buttons clicks. It embraces a task-oriented approach that as we shall see later in this article. Kartra, on the other hand, embraces a goal-based approach when building funnels. ClickFunnels is Russell Brunson’s brainchild. 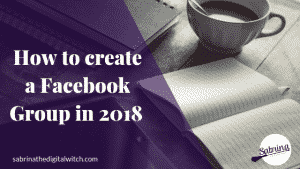 He created the software because he had first-hand experience on the hurdles that potential entrepreneurs faced as they ventured into internet marketing. Growth-hacker Entrepreneurs have high ideas that are either service or product based. They will visualise themselves succeeding and their concept getting big and even changing the world. 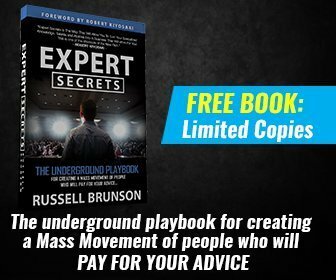 However, such entrepreneurs lack an essential aspect that Russell Brunson’s ClickFunnels has managed to solve – What to Do Next! Most entrepreneurs don’t know how to code nor design a simple website. They are most likely stuck behind the tech-curtain. As such, they end up posting their ideas wondering whether they should take coding classes or hire a tech-guru! In the past, the smartest move was to hire a Web-Design and Digital Marketing Company. You would then pour thousands of dollars on a website that may have not even succeeded. It was such a risky investment that always led to a huge percentage of potential entrepreneurs shoving their ideas in the dustbin amid the huge debts that they left behind with their failed initiatives. ClickFunnels was the answer! This internet marketing tool has been designed to help you take back the power from tech-gurus! Whether you can or can’t write a simple HTML language, code a program, or create a CSS style sheet, ClickFunnels will do everything for you within a few buttons clicks. ClickFunnels will not only build your website instantly but will also help you lead the visitors down a sales funnel. Thus, it will help you convert them into paying customers at the end of that funnel. What are the Amazing Features That Define ClickFunnels? In case you want to grow your email list, the lead capture funnel pages will help you get it done. If you wish to sell a book or offer a premium course to your email lists, there are options to make these customizations. Of course, as you provide them with your one-time-offer (OTO) or a freebie. If you’re hosting coaching webinars for either a service-based program or how to use a given product, the webinar funnels come handy. It helps you promote and get registrations for your premium webinars. They are the most prominent on ClickFunnels! You can use them to sell products and services and capitalise on its sub-features like upsells, downsells, and OTO to maximise the profits that you get from customers. You can also generate a recurring income through the membership sites. Creating them with ClickFunnels is as comfortable as a few buttons click. Apart from capturing emails for your online courses, you can also host and sell the same courses entirely with ClickFunnels. 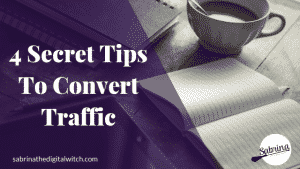 Other fantastic features that cement the advantages of using ClickFunnels include conversion tracking and split-testing to improve results as well as excellent free training. ClickFunnels works in three simple steps to create sales funnel web pages that will help you convert your traffic into high-paying customers. Remember, whether you want to market a service like a course or a product that you will ship to them, this tool will always work for you! The first step involves the selection of a specific type of sales funnel that suits your business idea. Already, they have pre-designed different templates that are associated with different types of services and products. The next step involves picking a specific page design. The ClickFunnels teams understand your worries – you don’t want your web page design to look like every other website out there! As such, they have pre-designed a vast variety of web page design options. Thus, every page that you will create will be unique. You will be doing it by yourself without writing any code. The final step is the easiest, which only involves a button click that will get the website pieced together and launched in less than 15 seconds. Woohoo! You are just a funnel away; it’s free! ClickFunnels has been around for a few years. It has not only proved a reasonably priced internet marketing software that works its intended purpose but has also demonstrated real success in getting sales marketing pages up and running with a few buttons clicks. Unlike ClickFunnels, Kartra existed as a tool that was mainly used for eCommerce by marketers. It now re-launch as an all-in-platform. Kartra creators, Andy Jenkins and Mike Filsaime, who are two marketers out there felt the need of developing an all-in-one SAAS solution for internet entrepreneurs. They have been quietly working on it behind the scenes for several months. At the moment, Kartra is being used an internet marketing tool by entrepreneurs. With it, you can sell everything from coaching courses to software to printables. What are the Amazing Features that Define Kartra? With them, you can quickly build multi-step sales funnels, products pages, sales pages, and opt-in forms. Its email marketing tool is that powerful such that it includes autoresponders and ability to create individual blasts or full-blown drip campaigns. You can set up a complete membership portal with different subscription tiers and membership levels, as you keep your customers engaged. Well, Kartra was once a shopping cart, and it still features one of the best shopping carts out there. It offers the ability to set lump sum or installment payments, upsell and downsell, coupons, full affiliate support, beautiful checkout pages, and subscriptions. 5. Sales-Driving Marketing Automation Sequences. With the help of a drag-and-drop builder, you can quickly launch rich sequences that trigger relevant communications to your customers and leads to the specific actions they can take while automatically guiding them through the sales funnel. Other features include affiliate management, live chat, inbuilt video hosting, 360-degree analytics, tons of templates, and an intelligent split testing. ClickFunnels has some amazing features for my Business. Check it out! Kartra lets you accomplish all the things you can do with ClickFunnels. However, the process isn’t the same, and things aren’t as quick as you would do with ClickFunnels. One thing, Kartra will create pages that are more marketable, authentic, and diverse. It is like investing in an in-house team of marketing gurus to perform the work of your budding business. Unlike ClickFunnels which is task-oriented, Kartra takes a goal-oriented approach to get things done for you. Let me break this down. With ClickFunnels, your task is to design a sales funnel webpage. All you need is to start the tool, click a few buttons, and your landing page, sales page, and order pages are complete. What about Kartra? Well, with Kartra, you will work on the reverse. Instead of thinking about creating a sales funnel, you will remember what you intend to achieve with the sales funnel. For example, in most cases, sales funnels end with a thank you page. On Kartra, you will start with a thank you page and work your way to the landing page. The process involved is quite unusual and consists of a learning curve that you will need to endure. With ClickFunnels, all that work of creating and thinking will ready-made for you, including the thank you page. It is like your bigger sibling who holds your hand as you walk together through your lives! I know you are already thinking about the pricing of the two tools but be sure to go through their benefits and drawbacks before making up your mind. You get a 14-day free trial to test ClickFunnels. It is risk-free, as it sounds! 1. ClickFunnels – $97 Per Month. The ClickFunnels plan is more than enough for a start-up. It comes with everything you need to build smart sales funnels. You can create sales funnels, opt-in funnels, membership sites, and webinar funnels. It also lets you integrate your sales funnels with email autoresponders and shopping cart CRM’s. You can build up-to 20 sales funnels and 100 pages, as well as support up-to 20k visitors per month. 2. Etison Suite – $297 Per Month. With the Full ClickFunnels Suite, you get everything in ClickFunnels plus. Unlimited funnels, pages, domains, and traffic! It also allows you to run smart affiliate programs within your funnels. Thus, your affiliates will send traffic into your funnels! Among other benefits that you will get include backpack tracking your affiliate clicks and sales as well as custom follow-up sequences. Starter Plan – $89 per month. Silver Plan – $199 per month. Gold Plan – $299 per month. Platinum Plan – $499 per month. 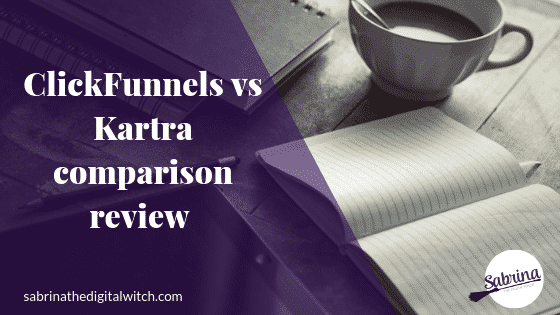 ClickFunnels vs Kartra: Benefits and Drawbacks. We have already looked what is inside these two tools, but what benefits do you get out of them as an entrepreneur? Why should you choose one over the other? Benefits of Going the ClickFunnels Way. 1. Pretty Easy to Use. We all are looking for internet marketing tools that can help us to attract leads, convert them and is easy to use. I know you too are in search of the Unicorn. ClickFunnels is pretty easy to use, and you will love it! You should be able to launch your first sales funnel in 10 minutes. Well, I must acknowledge that there is some learning to do if you are getting your hands on it for the first time. However, the learning curve isn’t even close to 1% of what you might have experienced when coding your first website. In case you are new to internet marketing, lead magnets, WordPress, and selling digitally, you may get overwhelmed at first. However, the more you take it as a simple tool, the more you will find things easy while navigating around it. 2. The Best User-Friendly Sales Page Builder in The Market. I bet you are here because someone mentioned ClickFunnels to you or you stumbled upon it in one of the social media platforms. What I mean is that its active users, wannabes, and haters are talking about it everywhere from Twitter to WordPress based sales pages. I have gotten my share when it comes to sales page builders. I have tried out WordPress plugins, LeadPages, and Thrive Themes. Some of them are almost free to use. I have also interacted with internet entrepreneurs who have used or are using page builder like Builderall, Get Response, and Infusionsoft. Some of these tools will make you hate online marketing and think of hiring a team that will part away with half of your business profits. With ClickFunnels, I don’t think you will ever need to learn before you start. It comes with tons of pre-made landing pages, order forms, and sales pages templates. All you will need is to select what you find suitable for your business and set it up with a few buttons clicks and integrations. You only need to drag and drop things as fast as you need to get your business up and running! 3. Crispy Clean Landing Pages, Sales Pages, OTO Templates, and Awesome Integration Abilities. You have more options to consider than what you will need in the entire life of your business. For example, you can consider selecting a template for a high-converting landing page, integrate it with a sales page that is pretty easy to build, and link them up with a pre-made order form. And you are done! When it comes to integrations, ClickFunnels takes the day. I am yet to find another tool that can beat the list of tools that I can easily integrate with this fantastic internet marketing software! Wondering how you will receive your payments? ClickFunnels allows you to integrate the order forms with payment processors like Clickbank, PayPal, Braintree, and Stripe. Yeah, you will collect all payments from credit Card users to PayPal users. The ClickFunnels order forms are customizable. You can add anything you think can boost conversions including a video, reviews, and testimonials. Worried about your email list? ClickFunnels easily integrates email marketing automation tools including ConverKit, MailChimp, GetReponse, Aweber and many more. When it comes to marketing webinars, the tool lets you integrate JetWebinar, Everwebinar, GoTo Webinar, and Webinar Jam. It will support other integrations including Shipstation, SalesForce, Zapier, and Drip. Well, no more excuses when it comes to launching your business. You can always improve things as you get by with a few tweaks and some perfection! Drawbacks of Going the ClickFunnels Way! 1. There Is A Learning Curve If Perfection Is Your Personality. Some entrepreneurs are chronic perfectionists. While there is nothing terrible about being perfect and doing things in the best way possible, you may experience some hurdles when getting your hands on ClickFunnels for the first time. While you can sign up on ClickFunnels and set up your internet marketing platform within a few buttons clicks, you will need some coaching when it comes to integrations, automation, and generally how the best funnels work. Well, this is something that calls for intense learning before you take the initiative of integrating things to run your business best. Luckily, there are hundreds, if not thousands, of free and paid tutorials to help you kickstart your journey of perfecting your sales funnel marketing with ClickFunnels. 2. The Page Templates Options Have A Limit. They have tons of pre-made sales pages, landing pages, and order forms, but it doesn’t mean they are limitless! Thus, if you are into building dozens of various sites, you may end up noting some similarities. However, as you learn to navigate around ClickFunnels, you will find yourself setting your web pages apart from other designs with a few tweaks. 1. Embrace Your Creative Control. Unlike ClickFunnels that does everything for you, Kartra gives you the room for embracing your creativity. There are tons and tons of web pages that you can create with it. For example, on the ClickFunnels start page, you will get a list of around 22 sales funnel types that you can create, where you are at the liberty of choosing the one that you will work with. You can also consider working with a blank canvas or access thousands of other templates via the marketplace. Kartra will give you all these features, plus an option for landing pages, templates, pages options, video sales pages, and sales funnels. As you continue to create the page on Kartra, you will find that the options continue to grow, unlike ClickFunnels where the possibilities shrink. Whereas this might be an advantage to some, for the perfectionists, it may be an undoing! The more options you get from Kartra as you design your sales funnels, the more time you spend thinking and analysing what will suit your business! Hence, you may end up wasting a whole day just thinking about the visual design of your website. Unlike in ClickFunnels where they have already done the research and analysis of the best web page designs for your business type. 2. Everything You Need to Run Your Online Business. Kartra merely is everything you need to run your internet business successfully. It has been packed with every piece of item you need in the internet marketing success. Think of it as an RV! You can use it to build sales funnels, design your shopping carts, make your email automation, and much more! What I love in particular is Kartra’s ability to automate your marketing. For example, it helps you schedule instant responses to customers, something that ClickFunnels doesn’t offer. Drawbacks of Going the Kartra Way! Despite being an all-in-one internet marketing software, Kartra lacks a critical aspect of any SAAS based platform – REPUTATION! If you Google Search ClickFunnels Tutorials, you will get thousands of pages with links to the best tutorials to initiate you into ClickFunnels. However, the same case doesn’t apply to Kartra. Most likely, you will get three or ten YouTube tutorials that have been hurriedly done and only showing you through the tool’s dashboard. Well, you may choose to jump into the mix and try it out! But, if you need a platform to put your idea out there before someone else does it, this may not be the best tool for you. Furthermore, Kartra is a new entrant in town concerning the developments it has just received. Meaning that it still lacks the social proof and trust it needs for any severe entrepreneur to trust it in the long-term. Unlike Kartra, ClickFunnels has been there for some time. 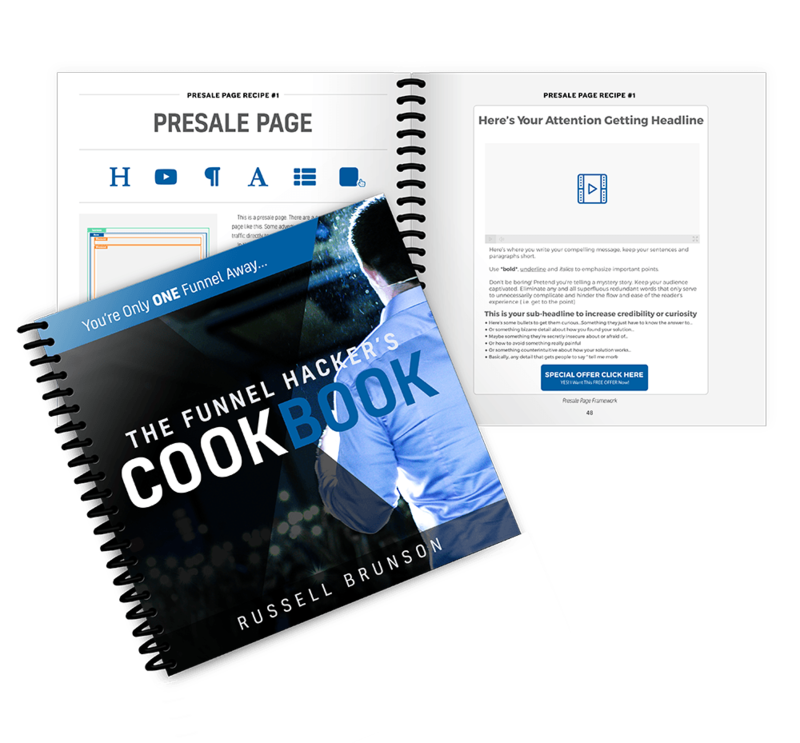 Russell Brunson has held lots of funnel hacking events based on this tool. These events attract thousand of ClickFunnels users and are jam-packed with high-value content and energy! Thousands of people are making multiple digit figures income with the tool you are looking to capitalise on. I think Kartra has some growing to do before it earns a place in the sales funnels marketing world…ClickFunnels not only has a place but is also growing by the day concerning features and users! What are you looking for to start your journey with ClickFunnels and boost your Business? Do you like this post? Pin it easily with this graphic made for you! Previous PostWhy your Social Media Marketing needs a Strategy? 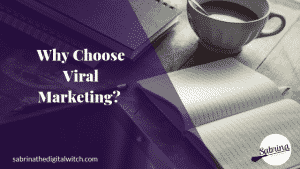 Next PostWhy choose Viral Marketing? Sabrina is a Digital marketing Strategist who currently lives in Ireland. Sabrina is French and spent most of her life travelling. When not helping businesses and online entrepreneurs with their online sales and overcome their fears of technology, she enjoys cooking and gaming.